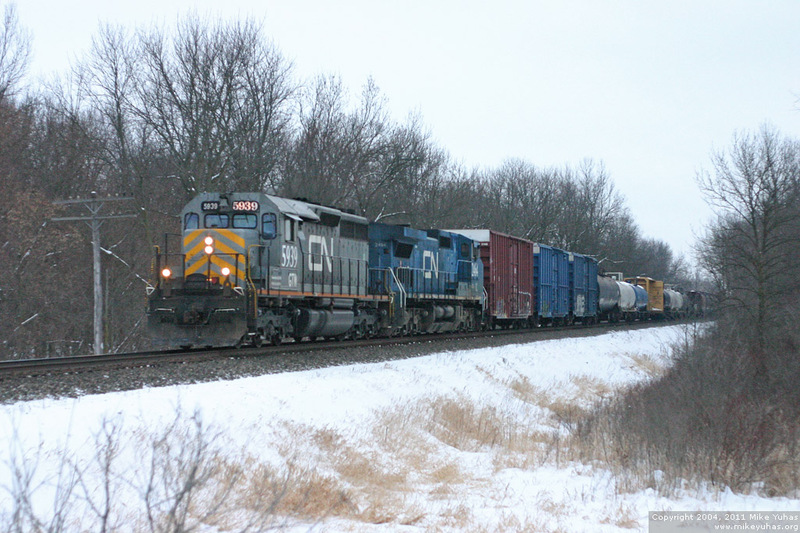 Twenty minutes before sunset on an heavily overcast day, here's a northbound on the former Wisconsin Central. The detector said "583 axles," so after deducting the locomotives' 12 axles, we're left with a train of 142 and three-quarters cars. Hmmmm, that doesn't seem right.